Greg has over 30 years of experience in the automotive industry and started Rising Fast Motor Cars in Lubbock, Texas after graduating from Texas Tech with an MBA. Greg loves providing people with quality, affordable, and reliable transportation! Aaron is new to the Austin Rising Fast Motor Cars Team, but is just as eager as any of the staff to help customers drive away in style! Hindreen is our lead, ASE certified technician. 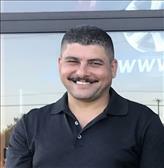 He works hard to put all of our vehicles through an extensive 125-point inspection can handle just about repair or service request for any car! Pablo is the latest and greatest addition to our sales staff. 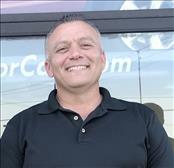 He loves helping people find the car, truck or SUV that fits their lifestyle.